“Sport and mass media enjoy a very symbiotic relationship in American society” (McChesney, 1989, p. 49). Indeed, from the first closed-circuit televised broadcast of the Olympics in 1936 to the digitally-delivered Olympics of 2012, the Olympic games provide a compelling environment with which to explore the nature of the symbiosis. In particular, the London Olympics, the first to have a immersive digital media experience in addition to the traditional broadcast experience, sheds light on the conflict created by new forms of media and how new media threatens traditional commercial mass media business models in the world of sports coverage, perhaps upsetting the symbiotic balance. NBC Universal, which owned the broadcast rights to the London Olympics in the United States was heavily criticized for their coverage, accused of forcing audiences into viewing paradigms of an earlier era, failing to use new media to its potential, and putting the commercial interest over the public interest (Deitsch, 2012; Holmes, 2012; Moore, 2012; Stanley, 2012). Most of the criticism centered on NBC’s failure in three dimensions, real-time versus prime-time, cultural deafness in a global village, and tone-deaf coverage selection, prompting a new Internet meme, #NBCFail(Sandomir, 2012; Stanley, 2012). Despite the criticism, NBC’s coverage was a commercial success with the largest audience in media history (CNN, 2012). The London Olympics demonstrate that the mass media is dealing with a new reality as a result of a networked audience. Mainstream media organizations occupy a liminal existence between traditional mass media business models and new media expectations, attempting to step into the digital world while remaining tied to earlier paradigms. Little does more to reflect the symbiotic relationship between media and sports as much as the financial arrangements between the media and sporting agencies. In the case of the London Olympics, NBC paid the International Olympic Committee $1.18 billion for the exclusive U.S. broadcast rights to the games (BBC, 2012), fees that provide the bulk of International Olympic Committee revenue (Associated Press, 2008). One could argue that the games would not exist in their present form without IOC broadcasting revenue streams. Moreover, with such hefty prices for broadcasts rights, NBC needed to assure that their coverage would generate significant advertising sales to make the broadcast a commercial success in a media environment where audiences have been fractured between traditional mass media and networked media. At risk, was not only the commercial success of the deal, but also NBC’s brand reputation in delivering a high-quality media experience that serves public interest in the media event. By all accounts, the NBC broadcast of the Olympics was a commercial success. NBC had originally expected to lose $200 million on the broadcast, but ended up making a small profit as a result of larger than expected advertising revenue (Heistand, 2012) and the largest audience ever recorded for any media event (CNN, 2012). Moreover, NBC executives have linked to their primetime success to their digital programming, suggesting their digital coverage drove viewers to primetime audiences and calling their move into digital coverage “a big, bold, swing” (Heistand, 2012, p. 1). However, critics have argued that NBC’s digital coverage was missed opportunity because the network continued to think of coverage in traditional, monopolistic terms, assuming that viewers didn’t mind not seeing the events live, and couldn’t get the information elsewhere (Stanley, 2012). Indeed, NBC’s choice, to delay coverage until primetime, or only offer live digital streams to paying cable customers angered many viewers, although savvy Internet users streamed live coverage directly from the BBC using Internet proxies to circumvent NBC (Moore, 2012). Rather than a bold move into digitalized networked communication, NBC appeared to use digital content simply to draw the audience to primetime coverage, their traditional revenue source. While NBC may be excused their coverage selection given that competition for revenue drives programming choices to the lowest common denominator (McQuail, 2010), the mono-cultural commentary displays both arrogance and ignorance of multicultural character of the global village enabled by the networked world. The widespread criticism suggests that NBC appeared to underappreciate a variety of audience expectations, including the desire for the shared experience for live Olympic coverage, the expectation of niche, tailored content inherent in the digital world, and the desire of the audience to view the Olympics anywhere, anytime, and on any device. The resulting outcry from audience members over NBC’s botched monopoly coverage showed up on Twitter with the hashtag #NBCFail, however NBC executives appeared to discount the outcry as dissent from small minority (Richter, 1985), an attitude that demonstrates their misunderstanding of the network form of mass communication. For example, while over the last three days, there have been a mere 19,800 tweets with the hashtag #NBCFail, those tweets have made more than 15.5 million impressions (Hashtracking, 2012). Furthermore, the popular #NBCFail meme has transcended Olympic coverage and has entered popular Twitter discourse on NBC’s coverage of football, the mars rover, the election, NBC Nightly News, and even their fall line-up. While NBC’s Olympic coverage has been a commercial success, the damage done to their brand may be incalculable. The #NBCFail meme is symptomatic of NBC’s failure to meet the expectations of an audience that become accustomed to new media in a networked world. Audiences expect to get coverage anywhere, anytime, and on any device. In addition, audiences have higher expectations of the social nature of global media events, expecting platforms than enable them to share the experience in a multicultural setting. However, while traditional media companies have the financial power that affords the opportunity for exclusive coverage of global sporting events, they are at the same time, unequipped to transition their business models inline with higher audience expectations, given it requires them to creatively destroy the very business model that provides that financial power. In fact, #NBCFail could have as easily been #ABCFail or #CBSFail, given most mainstream media organizations occupy a liminal existence between traditional mass media business models and business models that center around new media expectations. McChesney, R. W. (1989). Media made sport: A history of sports coverage in the United States. In L. A. Wenner (Ed. ), Media, sports, & society (pp. 315 p.). Newbury Park, Calif.: Sage Publications. On July 20th of 2012, Jim Holmes walked into the midnight premiere of the movie The Dark Knight Rises and killed 12 people, and wounding another 59 before being apprehended by local police (KUSA-TV, 2012). As the event unfolded, media organizations across the nation and the globe mobilized and began extensive coverage of the shooting that continues to this day. While much of the initial coverage focused on the factuality of the event, there were errors that some in the media considered evidence of bias. Most notably, was the suggestion by Brian Ross of ABC News, that the shooter might have links to the Tea Party, a mistake that some suggest is evidence of liberal bias in the media (Goldberg, 2012; Irvine, 2012; Scott, 2012). Furthermore, Scott (2012), a Fox News commentator, suggested liberal bias extended beyond ABCs factual blunder towards politicization of gun use, noting the “media coverage of the movie theater massacre in Colorado spark[ed] another one-sided debate on gun control” (p. 2). After completing a critical evaluation of the media event that included a traditional content analysis, this author found that the charges of bias are likely justified, although not one-sided; rather, bias appears to be a de facto presence in news media, despite the western journalistic norm of objectivity. In order to understand whether Scott’s (2012) charge of media bias did or did not have merit, this author critically evaluated the news coverage of the shooting against McQuail’s (2010) standard of objectivity. In addition, a basic content analysis was conducted to determine the extent to which the subject of gun control was associated with the shooting story, analyzing the total number of articles on the theater shooting on mainstream print and broadcast media organization’s websites, comparing that with how many articles associated the theater shooting with either gun control. Moreover, the number of articles that associated gun control with the shooting were compared with Kohut and Remez’s (2009) report identifying public perception of news network ideology to determine whether the perceived ideology was associated with the amount of coverage. Finally, this author commented on the potential sources of bias in the coverage. During a Good Morning America segment on the theater shooting with George Stephanopolis, Brian Ross described significant information related to the shooting, indicating, “There is a Jim Holmes of Aurora, Colorado, page on the Colorado tea party site as well. Talking about him joining the tea party last year. Now, we don’t know if this the same Jim Holmes, but this is Jim Holmes, Aurora, Colorado” (Byers, 2012, p. 1). Of course, it turned out later that a completely different Jim Holmes was responsible for the shooting. To what degree did Brian Ross’s statement meet the standard of objectivity? According to McQuail (2010), information quality reflects the broadly shared public interest in reliable information from trusted source “that matches the reality of experience” (p. 200). Westerstahl (1983) described the main components of objectivity as factuality and impartiality. While the information was clearly not factual, it may or may not have been impartial. It appears that Ross may have jumped directly to an existing liberal narrative of the Tea Party as right-wing extremists without checking sources to verify the factuality of the claim, certainly an error in professional judgment. Potential sources of bias include either Ross’s socialization and attitudes, or an organizational routine that took shortcuts in order to capture audience share. In either case, the information presented was neither factual, nor impartial, and therefore does not meet the standard for objectivity. Table 1. Parameters for traditional content analysis of media bias in theater shooting coverage. Table 2. Data collected during content analysis of theater shooting coverage. Table 3. Analysis of selection bias and tendency towards politicization of theater shooting coverage along conservative and liberal lines. It is clear that media organizations perceived as liberal by the public provided far more coverage of the story than did their conservative counterparts. Equally clear, is that media organizations perceived as conservative were far likelier to provide a political interpretation of the story for their audience, in the broader context of the gun control narrative. While the shooting was a key event, the public significance of the shooting triggered mediahype, where extensive coverage of the event and subsequent manufactured events created a media frenzy that media organizations were likely able to monetize. Indeed, The Pew Research Center For The People & The Press (2012) found that the shooting overwhelmingly held audience interest over other stories, lending credence to the idea that the coverage of the tragedy was a commercial boon to most media organizations, perhaps a cause for the extensive coverage. Given the economic potential of coverage, why then did the conservative press cover the story far less than the liberal press? Perhaps the story did not fit into existing conservative narratives on gun rights? Given the lack of a qualitative analysis, it is impossible to tell. Equally so, the story may have served the liberal media both commercially, and in terms of their political narrative on the importance of gun control, both powerful influences to select and politicize the story. Accordingly, both liberal and conservative organizations appear to be biased in their selection and presentation of the story. Charges of media bias are commonplace and may very well be accurate in some cases, given that bias is likely structural, given the wide variety of forces influencing media. Scott’s (2012) charge of bias on the part of the liberal media is supported by this author’s analysis, although it was not one-sided as was suggested. Rather, bias appeared to be a persistent presence in both liberal and conservative media organizations, or a fact of life in professional news organizations, despite their professed norms of objectivity. Berelson, B. (1952). Content analysis in communication research. Glencoe, Ill.,: Free Press. Kohut, A., & Remez, M. (2009). Fox News Viewed as Most Ideological Network. Washington DC: The Pew Research Center For The People & The Press. Scott, J. (Writer). (2012). Fox News Watch: How the media covered the Colorado massacre: Fox News Network. Westerstahl, J. (1983). Objective news reporting. Communication Research, 10(3), 403-424. Communication researchers have a variety of theoretical perspectives within which to examine the act of mass communication, many of which are considered to operate within one of two paradigms. The dominant paradigm “combines a view of powerful mass media in a mass society with the typical research practices of the emerging social sciences” (McQuail, 2010, p. 62). With origins in functionalism and information theory, the dominant paradigm is hallmarked by acceptance of the liberal-pluralist ideal, a bias towards studying the effects of a powerful mass media, and emphasis on quantitative research (McQuail, 2010). Critical of the liberal-pluralist ideal, the alternative critical paradigm examines the political, economic, and cultural character of mass media, adopting an interpretive and constructionist view (McQuail, 2010). Moreover, the alternative critical paradigm favors a qualitative research approach (McQuail, 2010). In order to develop a perspective on the value of each paradigm to researching the act of mass communication, this author chose to analysis a local newscast from 9 News, using the scientific approach inherent with the dominant paradigm, and the socio-cultural approach inherent in the alternative critical paradigm. Whereas the scientific approach to mass media analysis was useful insofar as it provided a useful lexicon for breaking down and describing the act of communication, the critical and qualitative nature of the socio-cultural perspective allowed this researcher gain greater insight into the various facets of the communication, without being bound by normative thinking. In order to understand the value of both the scientific and socio-cultural approaches to the mass communication act, this author recorded and analyzed a local newscast from 9 News of Denver, using the main features of theories from both paradigms to understand the types of knowledge each provided. Exploring the scientific approach, the communication act was analyzed with Laswell’s (1948) functional view and Westley and MacLean’s (1957) conceptual model, whereas, with the socio-cultural approach, the communication act was analyzed using critical political-economic theory and the major propositions of commercialization. Lasswell’s (1948) described mass communication in a functional transmission model as ‘Who says what to whom, through what channel and with what effect?’ Attempting to answer the question for the newscast is the basis for the analysis. The sender is the 9 News organization, part of a local television station owned by the Gannett group, a $5 billion media conglomerate with significant newspaper, television, and digital properties, notably including the USA Today newspaper (Gannet Co. Inc., 2010). While the founder was considered conservative, no information on potential political affiliation was noted during the communication act. The newscast included coverage on weather, traffic, crime, politics, human-interest stories, sports, public service, and advertising. The newscast was broadcast over the air and through cable and satellite television providers, and also online at 9news.com to roughly 6000 Denver households representing 12% of the total market (Ostrow, 2012). The newscast informed local residents of newsworthy stories, public service information, and issues affecting Coloradans, in order to increase market share, associated advertising revenue, and company earnings. In addition, the newscast helped shape discourse on notable events in the local public sphere, such as the recent Colorado theater shooting. Westley and MacLean’s (1957) conceptual model structured the functional view differently, incorporating the role of communicator as a selector and interpreter of “events and voices in society” (McQuail, 2010, p. 70). 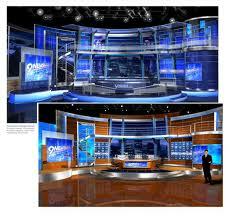 The newscast had a number of significant events, notably including both the Olympics and the Colorado theater shooting. The Olympic coverage was largely oriented towards U.S. victories resulting in medals, with a local interest story on Missy Franklin, a Coloradan swimmer and recent bronze medalist. The interpretive context of the newscasters appeared to orient towards U.S. athletic dominance in the games. The theater shooting coverage included an update on the court proceedings of shooting suspect James Holmes, hearing primarily from the police, district attorney, and victim’s families. The interpretation of the shooting event centered on implied theories for the shooters deviance, including potential mental health problems. Westley and MacLean’s (1957) description of voices and events had this author wondering whether the shooter’s intended message was being communicated and whether the interpretation being provided would prove to be accurate in the long run. Does the news describe events objectively? How does the make-up of the audience shape the news? Beginning with critical political-economic theory (McQuail, 2010), this author sought to determine whether content and audience is commoditized, whether opposition and alternative voices were present or marginalized, and whether the public interest is subordinated to private interest? It appears clear that the Gannet Company seeks to own a large diversified share of media audience, given audience reach is a core metric in their annual report (Gannet Co. Inc., 2010). According to their SEC 10-K filing, the Gannet Company reaches 18% of U.S. households through their television stations with an “online U.S. Internet audience [totaling] 52 million monthly unique visitors, reaching about 24% of the Internet audience” (Gannet Co. Inc., 2010, p. 3). Both the content and the audience are clear commodities to be sold as “marketing solutions” to businesses nationwide. McQuail (2010) describes the consequences of the commodification of audience and content in suggesting that content diversity decreases as and opposition voices are marginalized as the media conforms to normative ideas of acceptable content to preserve share and avoid competitive risk. In the observed newscast, a case can be made to support this notion. Political perspectives provided in the newscast were only shared from Republican and Democratic viewpoints, ignoring lesser parties like the Green Party or the Libertarians. Perhaps the absence is one of necessity given the limited time for broadcasting the newscast, however, the fact remains the opposing viewpoints were missing and as a result, were marginalized. Given the need for the Gannet Company to preserve more than $6 billion in annual revenues, it appears possible that the public interest is subtlety subordinated insofar as the marginalization of opposition viewpoints limits public discourse and favors the maintenance of the political and economic status quo. Coincident with critical political-economic theory is the notion of commercialization. While critical political-economic theory describes the commodification of audience and content, commercialization highlights the role of media in “the promotion of consumerist attitudes to culture and life” (McQuail, 2010, p. 125). As a case in point, the newscast had a public service piece on tips for refinancing a home, certainly a hot topic given the real estate meltdown of the last several years. The newscast presumed a single model for consumers to purchase a house, through borrowing money from major banks, rather than discussing alternative models such as purchasing with savings, borrowing from retirement plans, or using local credit unions. In a sense, the 9 News staff chose to advocate the dominant model for consumption, favoring commercial interests. The socio-cultural approach lent itself to a critical analysis of the communication act that challenged normative assumptions about society and culture, in effect, opening doors of inquiry that may have remained closed using a scientific approach. Both the scientific and socio-cultural approaches provided valuable insights during the analysis of the 9 News broadcast. The scientific approach provided a useful lexicon for breakdown the act of communication into its constituent parts while illuminating the role of media organizations, the type of content, information on the medium, and the potential effects of media. However, the critical and qualitative nature of the socio-cultural perspective provided greater insight into the nature of the mass communication, without being bound by normative thinking. Lasswell, H. D. (1948). The structure and function of communication in society. In Jewish Theological Seminary of America. Institute for Religious and Social Studies. & L. Bryson (Eds. ), The communication of ideas (pp. ix, 296 p.). New York,: Institute for Religious and Social Studies distributed by Harper. Westley, B. H., & MacLean, M. S. (1957). A conceptual model for communcations research. Journalism & Mass Communication Quarterly, 34(2), 31-38.